Solar System, Galaxy, Universe: What's the Difference? Many people are not clear about the difference between our Solar System, our Milky Way Galaxy, and the Universe. Let’s look at the basics. Our Solar System consists of our star, the Sun, and its orbiting planets (including Earth), along with numerous moons, asteroids, comet material, rocks, and dust. Our Sun is just one star among the hundreds of billions of stars in our Milky Way Galaxy. If we shrink the Sun down to smaller than a grain of sand, we can imagine our Solar System to be small enough to fit onto the palm of your hand. Pluto would orbit about an inch from the middle of your palm. 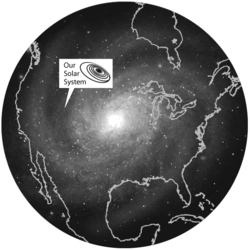 On that scale with our Solar System in your hand, the Milky Way Galaxy, with its 200 – 400 billion stars, would span North America (see the illustration on the right). Galaxies come in many sizes. The Milky Way is big, but some galaxies, like our Andromeda Galaxy neighbor, are much larger. The universe is all of the galaxies – billions of them! NASA’s telescopes allow us to study galaxies beyond our own in exquisite detail, and to explore the most distant reaches of the observable universe. 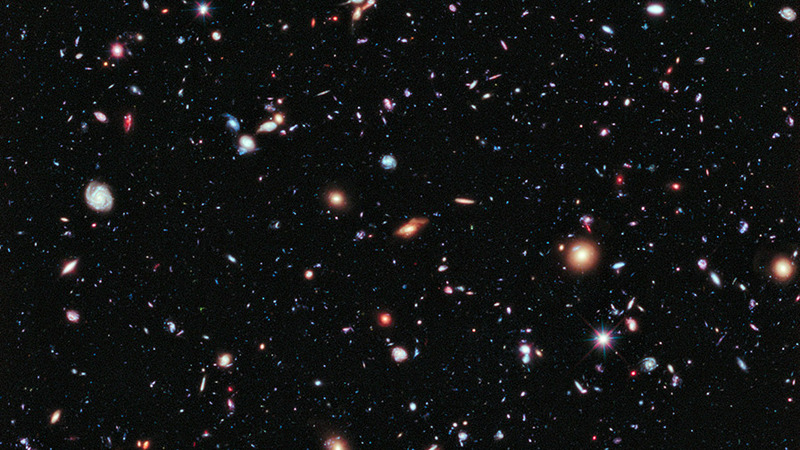 The Hubble Space Telescope made one of the deepest images of the universe, called the Hubble Extreme Deep Field (image at the top of this article). Soon the James Webb Space Telescope will be exploring galaxies forming at the very beginning of the universe. You are one of the billions of people on our Earth. Our Earth orbits the Sun in our Solar System. Our Sun is one star among the billions in the Milky Way Galaxy. Our Milky Way Galaxy is one among the billions of galaxies in our Universe. You are unique in the Universe! You can observe objects in our solar system and even see other galaxies at a star party near you-and rest assured that everything you are seeing is a part of the same universe as you! Find out more by using our club and event finder and connect with your local astronomy club. 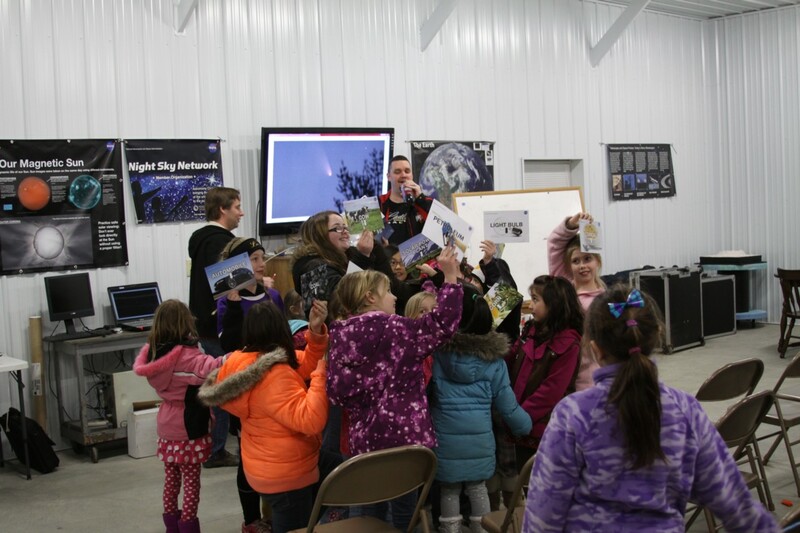 We invite you to join the NASA Night Sky Network astronomy outreach community on Facebook and Twitter for the latest updates on astronomy events, outreach opportunities, and astronomy activities. Pictures of your astronomy outreach and other behind the scenes photos are featured on our Instagram feed. Subscribe to the Night Sky Network channel on YouTube and watch demonstrations of astronomy outreach activities and recordings of our monthly webinars with astronomy professionals and NASA scientists. The NASA Night Sky Network is managed by the Astronomical Society of the Pacific. The ASP is a 501c3 non-profit organization that advances science literacy through astronomy.